Tibetans in the town of Kham, not far from Kyigudho (Jyekundo) in Nangchen County, began boycotting Chinese vegetable stores and businessmen, as a response to the ridiculously high prices for food. January 1 | Three writers of Tibet detained earlier this year by Chinese authorities have been handed jail terms of three to four years for “inciting activities to split the nation,” according to sources in the region. According to a report posted by Radio Free Asia, Jail terms handed down without any representations. 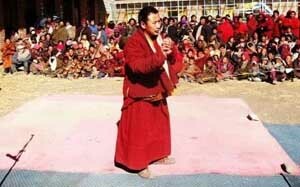 December 21 | Kanlho Intermediate People’s Court sentenced Sungrab Gyatso, a monk of Mu-ra Monastery to three years prison term on 16 December 2010. Sungrab Gyatso, age 34, is a monk of Mu-ra Monastery in Machu County, Kanlho Prefecture ‘Tibetan Autonomous Prefecture’ ‘(TAP)’ Kansu. He is the editor of Rewa-kang-lam (Tib translation: March of Hope) magazine, also a member of the Bod-amae-rangke-larso-tsokpa (tib trans: mother-tongue restoration) association. Dharamsala, November 20 – A noted Tibetan writer arrested on April 6 this year and missing since then is being held at a detention center in Barkham County, Ngaba Tibet Autonomous Prefecture, according to the Radio Free Asia. 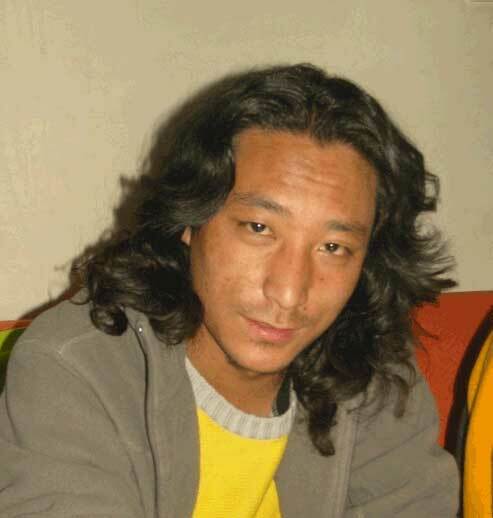 Tashi Rabten (Pen name: Theurang) was arrested in April along with Druklo (pen name –Shokjang) who was released in May. Sources said authorities have not allowed anyone from his family to visit him thus far but allowed delivery of clothes and food for him recently. 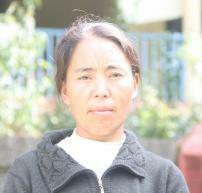 Sources also said that Tashi might be tried soon but little is known as to what charges he will be tried under. 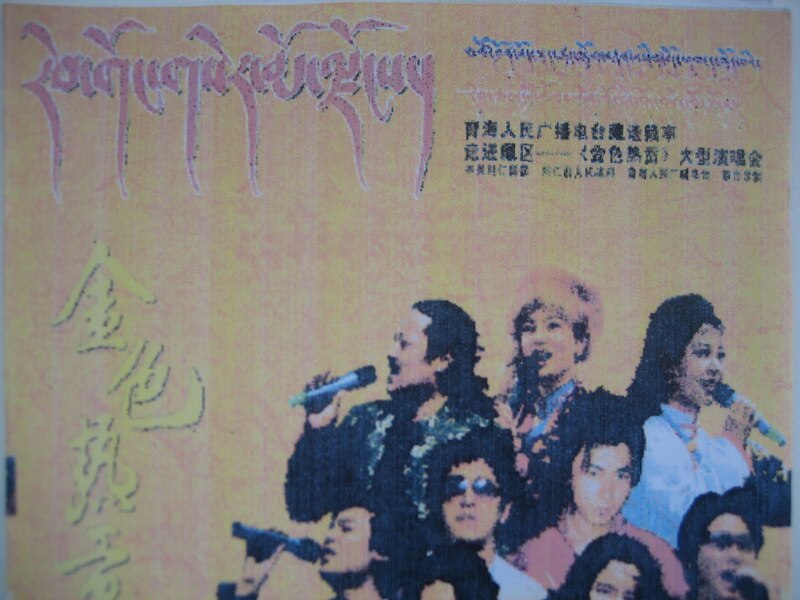 In the song “Telephone Rang”, Lhakyi imagines a day when Tibetans in Tibet are informed, through a phone call, of the return of His Holiness (also referred to in the song using various metaphors) and thus a day when Tibetans inside and outside Tibet are reunited. The music video for the song has been on many Chinese video-hosting sites since March 2010 such as Tudou and Ku6 and is taken from Lhakyi’s album “The Barley Carrying Girl”. From the comments left by Tibetan netizens below the videos, it is evident that the song is popular and has resonated. “Telephone Rang” By Lhakyi from HPeaks. Until 2008, I had never heard of Tibetan singer Tashi Dhondup. Like many others, I first became aware of him because of one particular song about the protests spreading through Tibet. It described not only 2008, but also 1958 – the entire five decades of Tibetan suffering. The lyrics were short, but each line was explosive. What other Tibetan singer within China’s borders has sung so plainly? 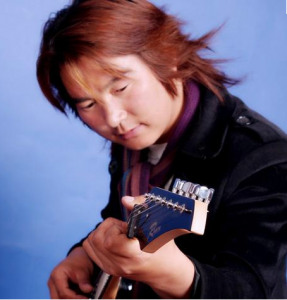 Go to Tashi Dhondup’s Page with his songs in different languages. The IWMF Courage in Journalism Awards honoring women journalists who risk it all to report stories that must be told. 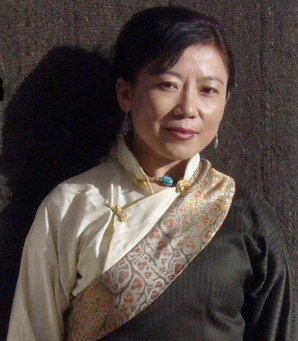 – Go to Tsering Woeser’s page with short bio and poems. September 24 | A popular Tibetan singer has evaded a police search for him following his release on CD of a song praising the Dalai Lama, according to sources in Tibet. “The Chinese authorities are looking for Pasang, but so far he has not been detained. His parents are worried about his fate,” a Tibetan man said, speaking from the regional capital Lhasa and giving the names of Pasang’s parents as Dawa Tsering, his father, and Dolkar, his mother. September 20 | Palden Choedron, one of a group of 14 courageous Tibetan women who became known as the “singing nuns” after they smuggled out a recording of patriotic and religious songs from their prison cells, has arrived in exile in Dharamsala, India. After her release from an eight-year sentence in Drapchi prison, Palden Choedron attempted to escape from Tibet but was caught and served three years in a “reform through labour” camp before her second, successful escape from Tibet and arrival in India on September 1. I appreciate High Peaks Pure Earth because it brings significant developments in Tibet and China to our attention. Recently, it discussed songs about Tibetan unity: “Mentally return” and “Song of unity” to which I would like to add some comment. When I heard the song “Mentally return” for the first time about two years ago, the few fragments I believed I understood were enough to knock me off my feet. What an immortal declaration of love to our homeland, the gracious land of snows! A hunt for the music and the lyrics began which only ended in the Barkhor last summer, when I finally managed to buy a VCD of the 2007 Rebkong open-air concert which featured “Mentally return”. September 8 | Two Tibetans had been arrested in Xining (Tibetan: Ziling), capital of Qinghai Province, for their articles in the Tibetan-language magazine Shar Dhung-Ri (The Eastern Conch Hill), of which both were contributing editors, reported Paris-based media watchdog Reporters Without Borders (RSF) Sep 6. It said the two – Buddha and Kalsang Jinpa – were held in June and July respectively on separatism charges because of their articles about Tibet and the March 2008 unrest. 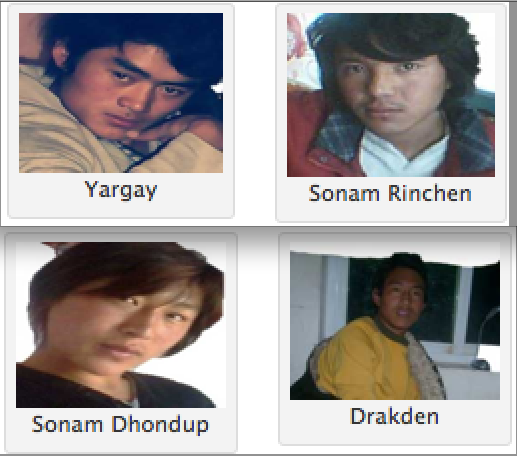 August 26 | Reports of arrests of four Tibetan students in Barkham County on March 17 this year have emerged from Tibet. According to Tsering, a Tibetan monk living here in exile, Chinese government arrested the four Tibetans on charges of instigating students against the government through their magazine Namchak (Thunderbolt). Several articles, poems and essays by Tibetan students of the school expressing their solidarity with the jailed Tibetan protesters and paying tribute to those killed by Chinese security forces and criticizing the Chinese government were published in the magazine. 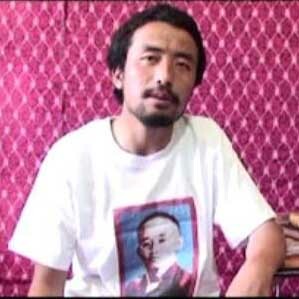 August 22 | Kalsang Tsultrim, remembered for his widely distributed video testimonial in 2009, was recently arrested on 27 July 2010 at Dzoge County in Sichuan Province. Though enquiries have been made by family members, no response or reasons have been given by the officials for his arrest. But his arrest is not unexpected. Kalsang, better known by his pseudonym Gyitsang Takmig, has been suspected of committing political error and has been on the move for at least a year to remain safe from the authorities.